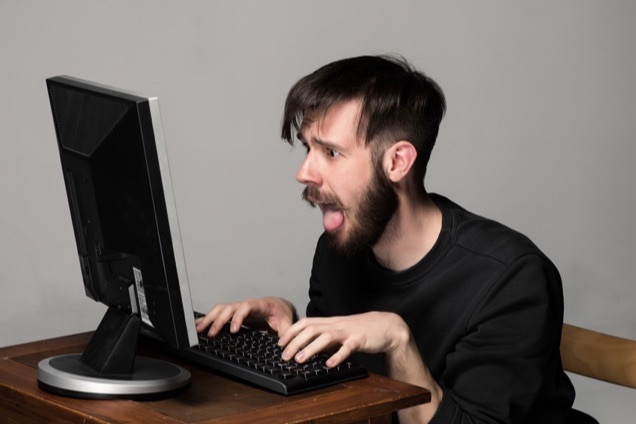 You might think social media is little more than a haven for "trolls", the Kardashians and people who like to post pictures of their lunch, but it's so much more than that. It's also a place where the average person can share a witticism on any topic that comes into their head. 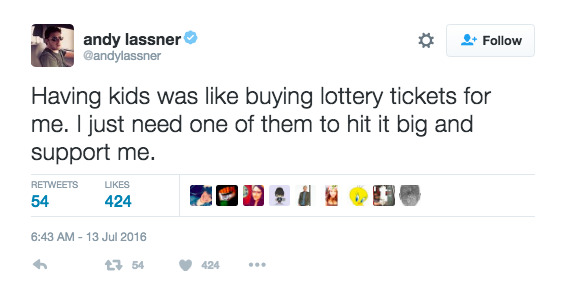 We plunged into a sea of lottery tweets to bring you the best. I feel like we should set up a GoFundMe for this guy. 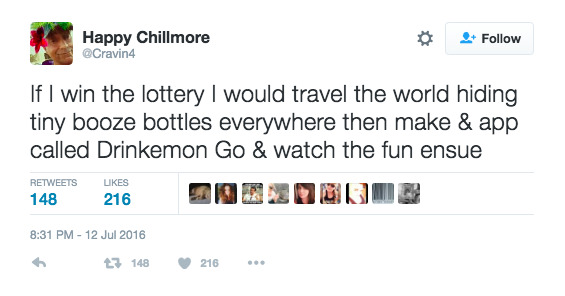 Although, considering the ever growing list of mishaps that have befallen Pokemon Go players, perhaps throwing alcohol into the mix isn't the best idea? There are other reasons for having children? 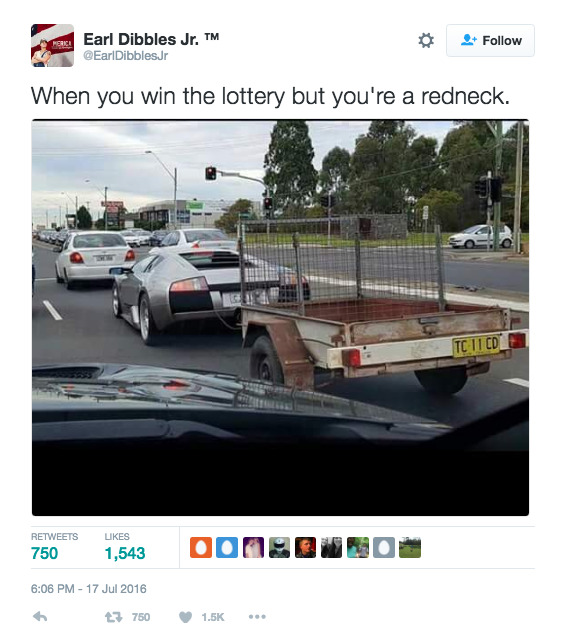 Redneck? Perhaps he, like many supercar owners, simply grew tired of the poor boot space and came up with a simple (albeit rusty) solution. Friends? Who needs friends when you've just bought two new sports cars and a mansion? In 2012 the residents of Sodeto won big on El Gordo, all except poor Costis Mitsotakis. 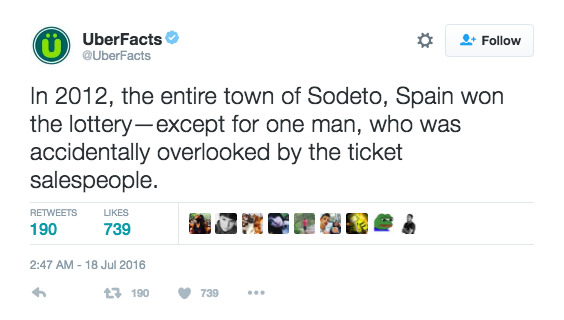 The Greek filmmaker was the only resident of the 70 household community had not purchased a ticket for the yearly Spanish Christmas lottery. Costis has taken the whole thing rather well, and has been filming his local friends and neighbours as part of a documentary to show how the windfall has changed the town. 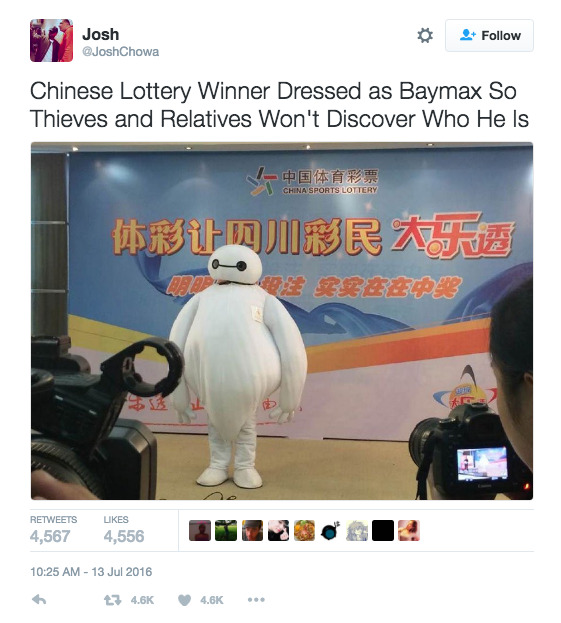 Till lottery money do us part? 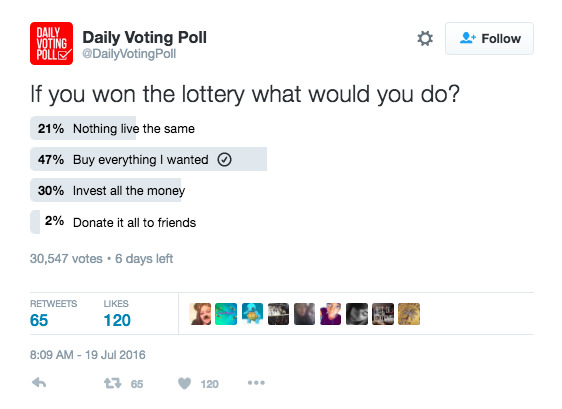 It shouldn't be that surprising, we ran a survey a while back which discovered that around 20% of people would leave their partner if they won the lottery. 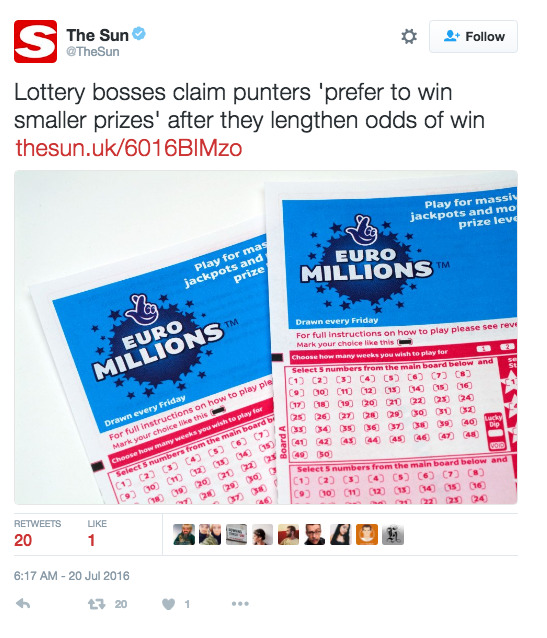 Don't think that was quite what lottery officials had in mind when they offered him the chance to 'remain anonymous'. How Would You Spend a Jackpot?